WASHINGTON — President Donald Trump declared Friday that North Korea still poses an “extraordinary threat” to the United States. In an executive order, the president extended for one year the so-called “national emergency” with respect to the nuclear-armed nation, re-authorizing economic restrictions against it. 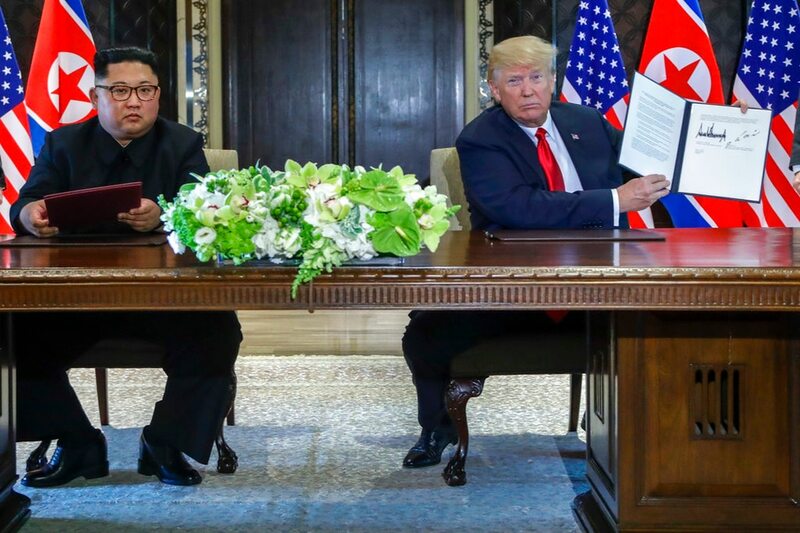 While expected, the declaration comes just nine days after Trump tweeted, “There is no longer a Nuclear Threat from North Korea,” following his summit with North Korean leader Kim Jong Un in Singapore. The national emergency has been in place since 2008 and is a sign of the enduring tensions between the U.S. and North Korea that spiked last year as the North moved closed to perfecting a nuclear-tipped missile that could reach American soil, but ebbed with the June 12 summit where Kim agreed to “complete denuclearization” of the Korean Peninsula. Trump claimed at a Cabinet meeting Thursday that denuclearization had already begun, although Defense Secretary James Mattis told reporters a day earlier that he wasn’t aware that North Korea had taken any steps yet toward denuclearization, and that detailed negotiations have not yet begun. Meanwhile, the Pentagon said Friday evening that it has “indefinitely suspended” a major military exercise with South Korea, known as Freedom Guard and scheduled for August, as well as two Korean Marine exchange training exercises. Officials had announced Monday that planning for Freedom Guard had been suspended in line with Trump’s decision to halt what he called U.S. “war games” in South Korea.